Indeed, Mother's day is getting closer and closer but have you decided where to treat the special woman in your life? Let me introduce the restaurant I visited last week where you and your mom can unwind. If you're dreaming about Japan's weather, food and culture like me, Saboten Philippines is the perfect place to treat/surprise your mom this coming Sunday. Experience modern zen-like ambiance, instagrammable interiors and of course their authentic food you can't find anywhere. Oyster sharing set for two is the bomb! 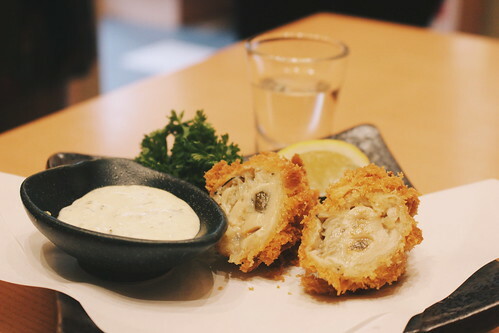 Each jumbo oyster from Hiroshima is crafted to perfection, deep fried but not oily. A rich ocean flavor will burst in your mouth with every bite. I think it can suit to more than 3 persons. 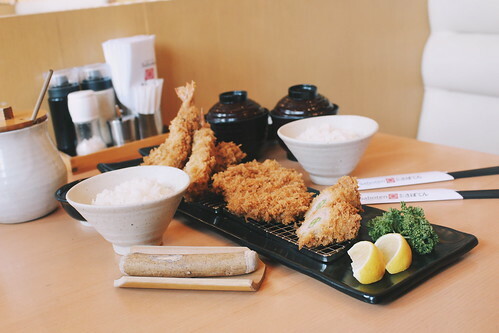 Their serving is too big as it comes with unlimited rice, miso soup, and side dish. Thus, makes it value a must try! 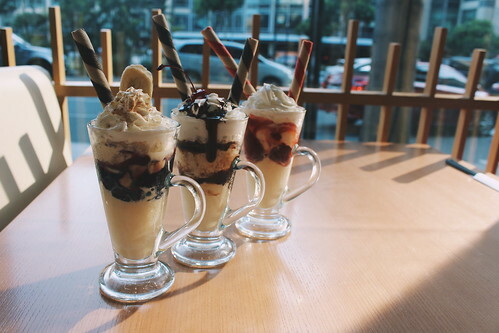 They have a wide range of delicious desserts like Summer Parfait. It's just perfect for summer as it comes with flavors that you will surely love. 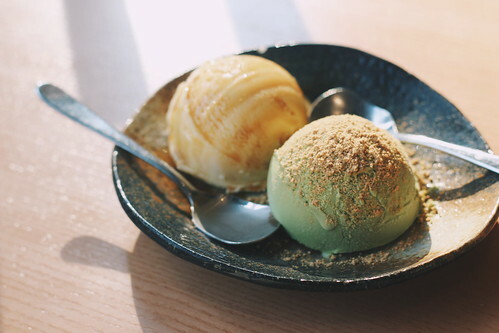 Also don't miss their matcha ice cream. I feel very healthy eating this. lol! 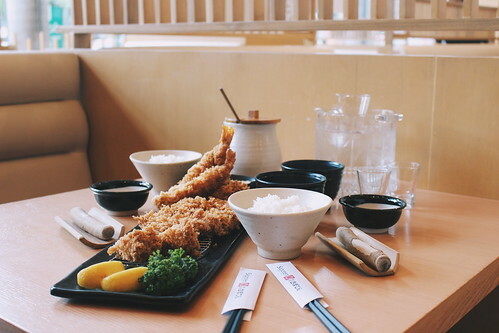 My dining experience is one of a kind because people here are very hospitable they always bow down and greet you in Japanese language that will make you appreciate the place more. 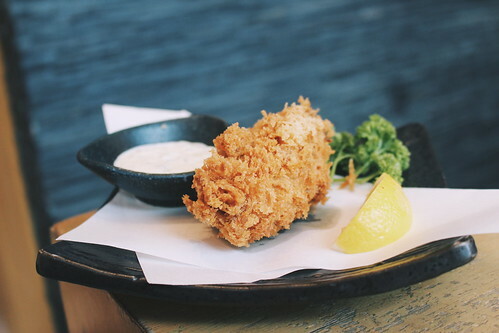 Avail Oyster sharing set for two, and get a FREE carafe of Gekkeikan sake. 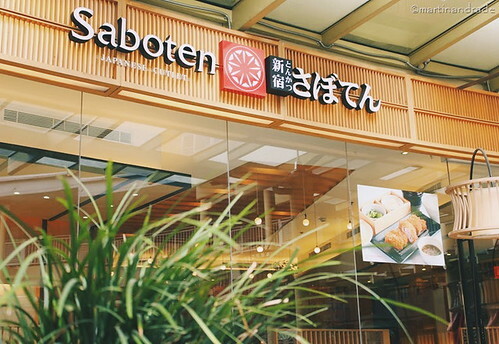 Visit Saboten Philippines at Serendra, BGC or Glorietta 4, Ayala and celebrate Mother's day. HAPPY MOTHER'S DAY to my mom and to all mom out there! For more information check out their Facebook page and website.